pals and our guest found to share, too. Cyndy @ The Creativity Exchange. 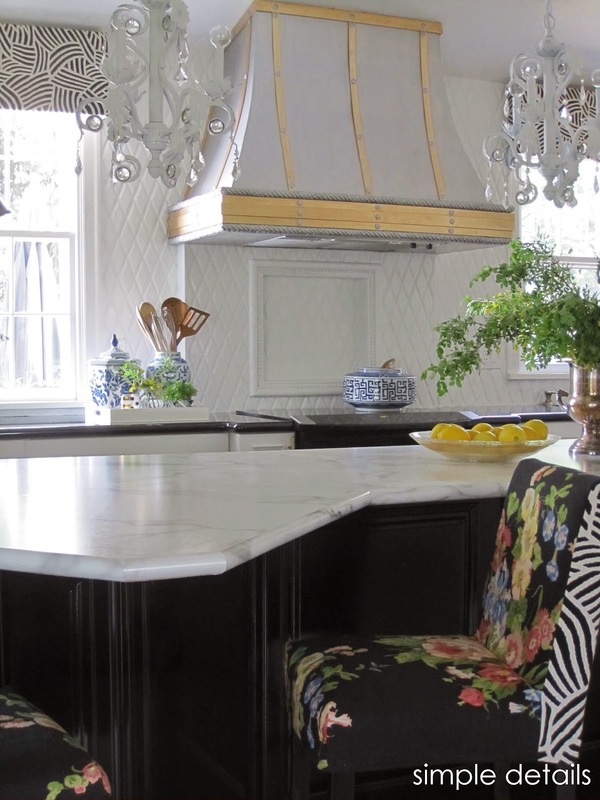 knowledge, don't miss this informative post of her 'Go To' Paint Colors. dresser, allowing us to come very close to the real deal. updated in my Kitchen Makeover almost two years ago, and it's held up perfectly! cost of the Restoration Hardware spheres. I tweaked a stencil pattern to mimic the similar Tanzania wallpaper pattern I loved. It's the perfect dose of something unexpected for our entry. i had forgotten about the garden orbs and i love them so much!!!! I love those cement orbs too, definitely need to try that this summer!! Also the Arhaus knock off, I love that paint finish and am itching to try it on my dining room table to lighten it up! 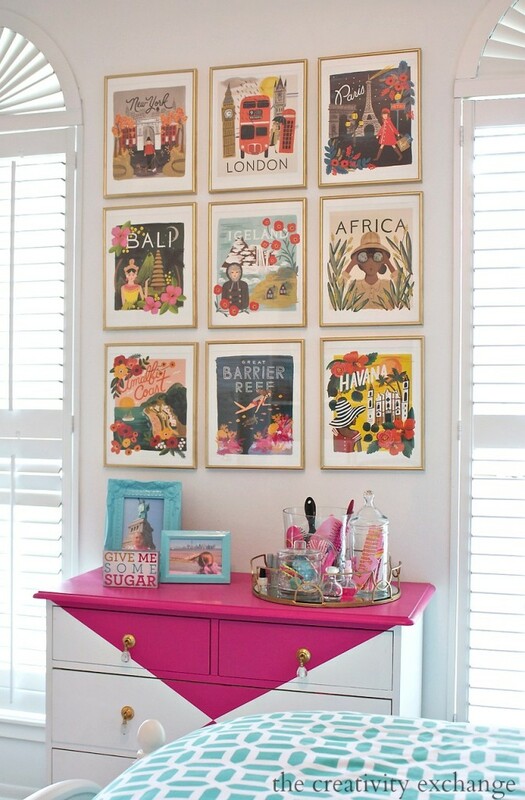 You never to cease to delight me with your DIYs, creative lady!! You have the BEST DIYs! The finish on that rustic pedestal table turned out SO good, and painting your kitchen tile gave it SUCH a completely different look! Your projects are always so inspiring to me! I am still amazed at all your high-end-looking DIY projects Pam! You totally rock! You are so creative and talented! 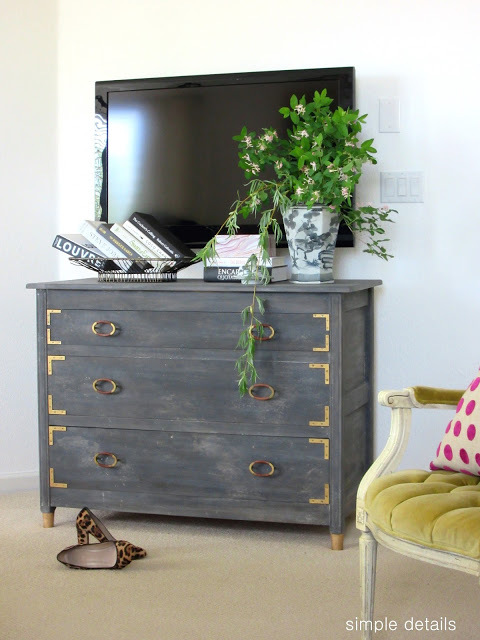 I love all these projects ~ the grey dresser is something I absolutely would kill for. :) Seriously, your DIY's are so good and yet there is little cost ~ something I need. You are the Master! These DIY's are so good. We still love what you did to our Arhaus knockoff table. I can't believe I almost sold it, before knowing the magic you perform! I hadn't seen your garden orbs - those are awesome! 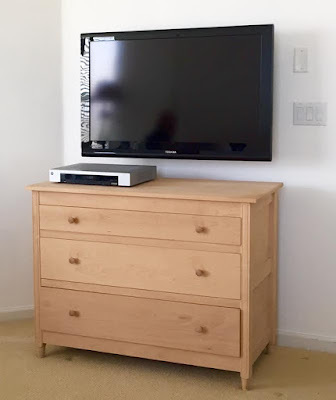 And the chest DIY that you did is one of my all-time favorites - it looks like a $1000+ piece! The Painted Stone Tiles for your counter top is absolutely beautiful, it looks almost like marble. I would love to try the garden orbs. That chest looks like a million dollars and you know I love your tanzania wallpaper knock off since I copied it!! You always amaze me with your DIY skills!! !